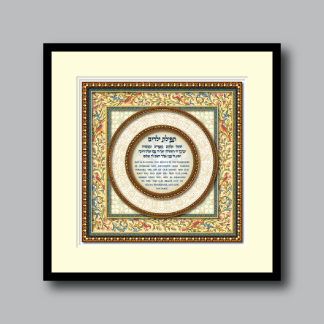 "The Children's Prayer :: Boys"
"May G-d inspire you to live in the tradition of Ephraim and Menasheh, who carried forward the life of our people. 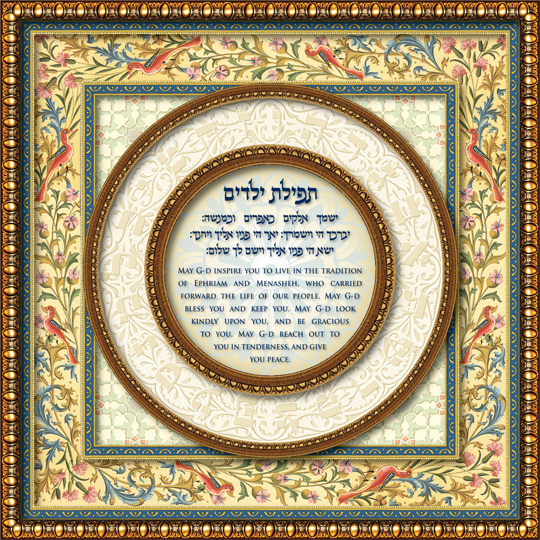 May G-d bless you and keep you. May G-d look kindly upon you, and be gracious to you. May G-d reach out to you in tenderness, and give you peace." 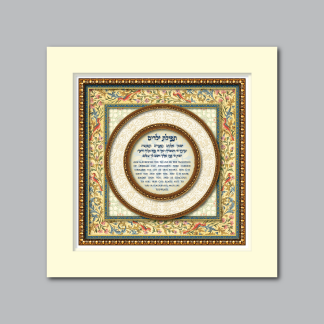 This design is perfect for a "Brit Milah", or the birth of a new baby boy.